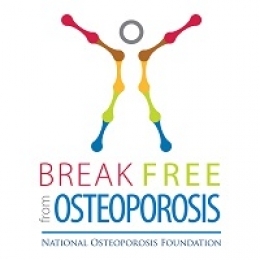 Here's a stunning fact: According to the National Osteoporosis Foundation (NOF), where I am honored to serve as Bone Health Ambassador, 54 million Americans have osteoporosis. And thanks to an aging population, the numbers are rising. By 2020, half of all Americans over age 50 are expected to be affected by osteoporosis. May was National Osteoporosis Month but right now is the best time to figure out how to lower your risk of breaking a bone and avoid osteoporosis down the road. The good news is it's ridiculously easy to put yourself on the right path. The best defense against low bone mass, which can lead to osteoporosis, is to do a few simple things, and get started doing them as early as possible. But, keep this in mind, too: it's never too late to take control of your own health and well-being. GO GREEN: Dark leafy greens-like kale, collard greens, spinach, and romaine-are loaded with calcium, an essential nutrient for building stronger bones. And, the NOF suggests getting calcium from food first, supplements if needed. Use the NOF calcium calculator to determine how much calcium you need (they recommend at least 1200 mg/day) and how much calcium you're currently getting from the foods you eat. GRAB THE ALMONDS: Nuts are an important food for good health, but almonds in particular offer the added bonus of delivering lots of calcium. Aim for two servings of almonds a day. A portion size is about 12 almonds. Almonds also stop you from getting hungry, so grab a few in the afternoon when hunger usually strikes. Tip: instead of cow's milk, switch to unsweetened almond milk. It has fewer calories and more calcium. LEARN TO LOVE PLAIN YOGURT: Strained Greek yogurt is particularly high in calcium and many people prefer its thicker texture. Start with 1/4 cup non-fat, plain yogurt, add some fruit, a dot of honey, and a few sliced almonds and you've got yourself a calcium-packed breakfast, lunch, or mid-afternoon snack. It's great in a smoothie, too. KNOW YOUR VITAMIN D LEVELS: Doctors don't automatically check your vitamin D levels at the annual exam, so ask for this simple test to be added on to your regular blood work. Vitamin D is essential because it enables your body to absorb calcium. If you're not getting enough vitamin D, you're at a much greater risk for developing osteoporosis. Most of us need supplements, so discuss with your doctor. The NOF, for one, recommends that people over 50 get at least 1,000 milligrams of vitamin D per day. Tip: If your number is under 34, you're considered vitamin D deficient. WALK OR RUN EVERY DAY: A daily fast walk or a run will help build muscle mass in your lower body, giving you the strength you need to be mobile for many years to come. Doing this will help you burn calories and, according to a new study, might contribute to a healthier, longer life. DO PUSH-UPS: You don't need to go to a gym or have a personal trainer to strengthen your upper body. Doing push-ups every day will keep you fit and strong and osteoporosis far away. But, doing them right is essential. Check out the short video-which is part of my ongoing series for the AARP YouTube Channel-on how to do them so they really work. TAKE IT SERIOUSLY: A broken bone can wreak havoc with your physical, mental, emotional and financial health. Not only can it cause someone to be immobilized, it can be fatal. For more tips on living your best life after 50 visit www.bestofeverythingafter50.com.